I think it's all the red that bothered me at first but I'm actually starting to like it. It's a simple board that's easily modified... for some reason I'm more comfortable with the idea of voiding the warranty, swapping out LEDs and making the USB cable detachable, because it costs less. Rapidfire-i I hope it doesn't start failing any time soon! should be fine, also my new toy as well. my new toy as well. Is that a tux logo next to the Windows key? Is that actually a mechy keyboard? Never been a fan of the crazy lights, and "ricey" looks... I still love my model M I posted earlier in this thread, but I may be in the market for another soon. Does anyone have a rec. for a buckling spring mechy that has a volume knob for sound control? That's my next investment, need a couple of tux caps. Any ideas where? if it wasn't a mechy why would I have purchased it? And the backlighting on it is crazy/ricey? 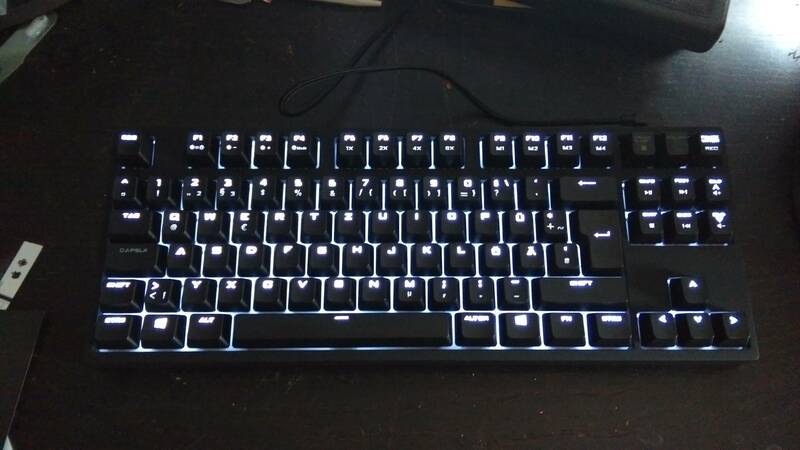 RGB backlit keyboards are crazy/ricey, this is tame in comparison lol. And arguably, backlight keyboards actually are quite beneficial if you work in the dark a lot. and from what I know, Cherry MX Greens and Buckling Springs have similar stiffness. So... something with Greens, Although blues would work too. and DAS Keyboard's is the only one I can think of that has the volume knob and doesn't look like a gamer gimmic. i don't see a volume knob in your last screenshot. you mean like a volume knob? And I agree about the looks, more office keyboard meets Hi-Fi than another suspect in the garish gamer line-up. Although DAS has its own cons that kinda make me not go for one lol. ^^ holy crap, a real volume knob! ^ you are practically begging us to ask "and what are those cons?" btw, does the volume knob work under linux? it's too bad the lego keyboard is a rubber dome though. And cons? well... it's more massive than my most massive mechanical keyboard. If I wanted something massive, at least let it be a Model M or a unicomp. words per minute? that's impressive. 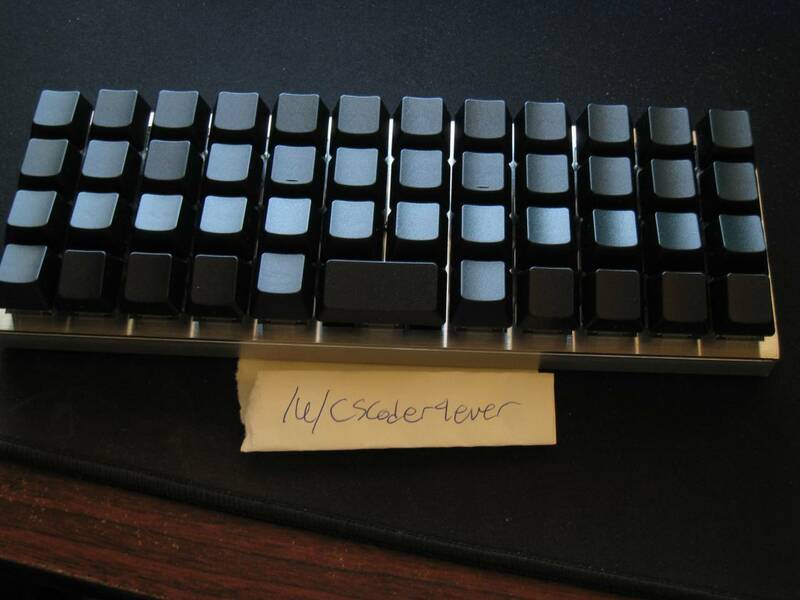 what keyboard out of curiosity? Very late to the party. That's a nice board, is it the Planck? I spent a while with the rapid-i, great keyboard with nice glowy stuff on the inide. 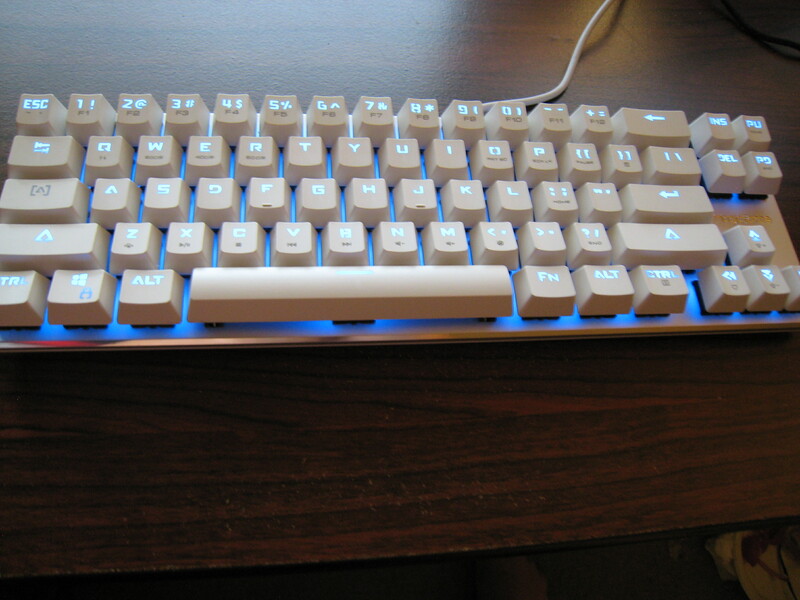 BUT, I got a pok3r (PBT keycaps are the greatest) three months after. The next project will be hand wired and split down the middle. I'll post some pics when things are put together. Yup, planck with matias switches. And I nothing like tkl keyboards, I also got a WASDv2 TKL w/ Cherry MX Clears and with pbt caps, incredible! Current work in progress, they caps are just spares and a few 3D printed ones. This is only semi decent shot of the thing I've taken so far..
Got the diodes in so far. The "case" is also 3D printed, just like the switch plates. The "F+#k" and "off!" keys have already been scrapped for less wonky (and offensive) replacements. More pics to come...at some point. are you making this from scratch? to what extent is it prefabricated? my utmost respect, but you must get some proper key caps (2 windows keys side by side, tsk)! It's going to be hand wired, so the prefabricated things are the usual: MX Blue key switches, wires, diodes, I/O expander chip and small controller board. Everything that's baby blue however, came from my printer. The odd key placement was just to test the key spacing. i'm still thoroughly amazed how you manage to connect the keys to the controller and I/O chip and ultimately to the computer. I'd rather go for this one. Love those Meta and Hyper keys (and the Terminal too!). If you look closely, there is even a "Rub Out" key That Break key is hilarious. I managed to break my system several times in the past, no need for an extra key. I guess I just got a good idea: I always thought CapsLock is stupid (it's barely used) - I'm gonna make a Terminal key out of it! That first one ia a three and a half finger typists nightmare, but it looks nice. I feel a MIGRAINE coming on ... looking down at normal keyboard .... ahhhhh relief! Hmmmm ... ... ... 'Rub Out' --> backspace maybe? - - mine are blank - I filed away that other OS logo with one of my wife's old emery boards. Well it's 'old' now. CapsLock is stupid (it's barely used) <--- for you maybe. I use it.